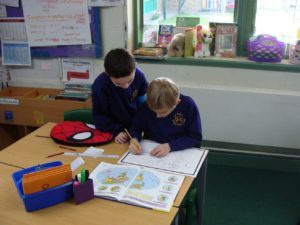 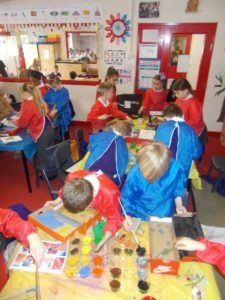 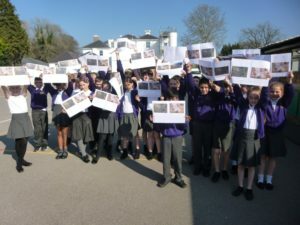 On Friday 29th March, St Peter’s enjoyed an in depth look at Geography. 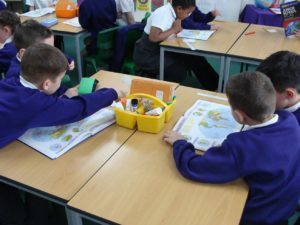 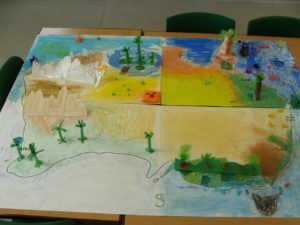 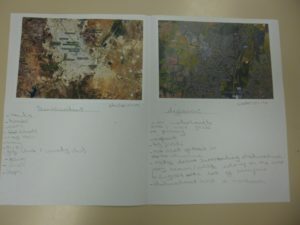 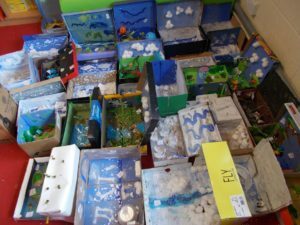 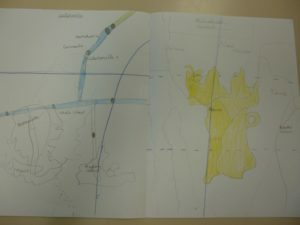 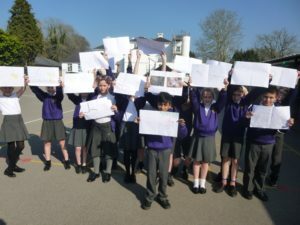 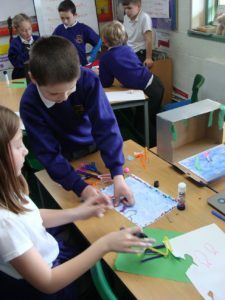 All year groups took part in some form of Geography – using atlases, making comparisons between places and finding creative ways to demonstrate the knowledge and understanding they took from their day. 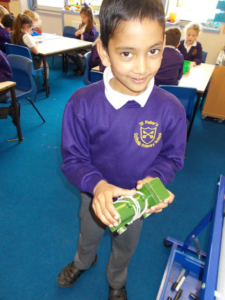 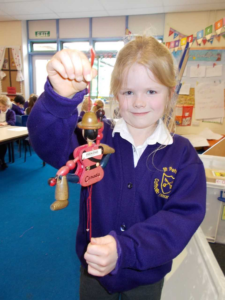 Year 1 have just introduced their topic of Toys by looking at an artefact box that was sent to our school from the Hampshire History Centre. 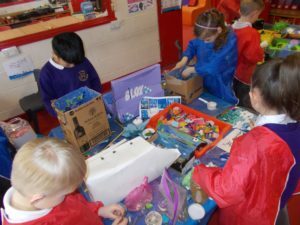 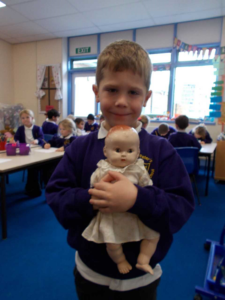 The children really enjoyed exploring the old toys and thinking about how they are similar and different to the toys we have nowadays. 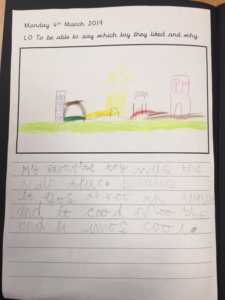 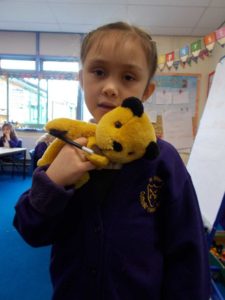 The children then wrote about which toy was their favourite and why. 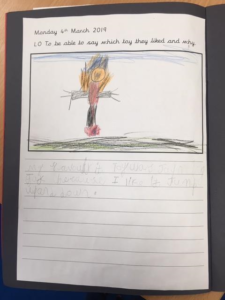 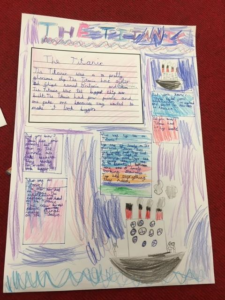 In Year 2 their topic focus has been Titanic. 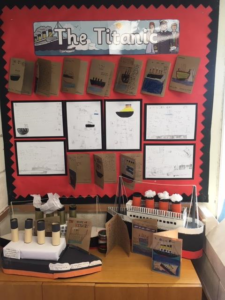 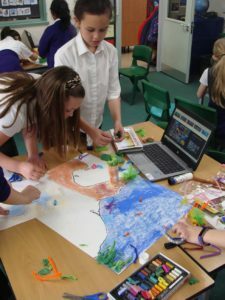 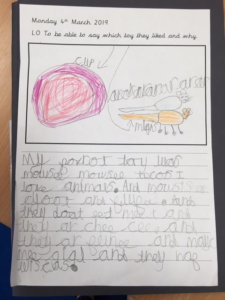 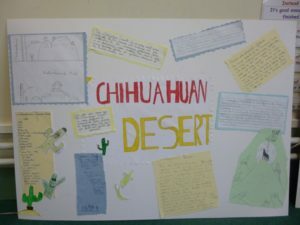 They have been focusing on non-fiction texts during English which led to them creating information posters which will be sent to the Sea City Museum. 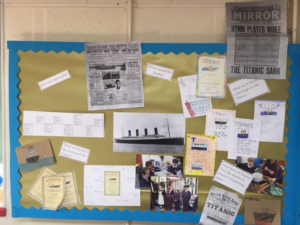 During History lessons they were able to gather all the information they needed to put together their facts they wanted to write about. 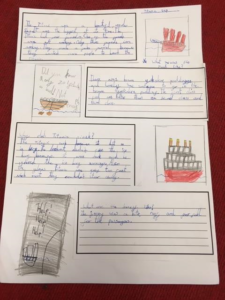 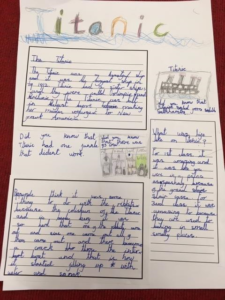 The children also created Titanic diaries written as if they were people that experienced the tragic event. 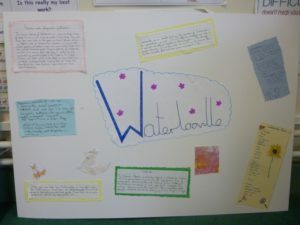 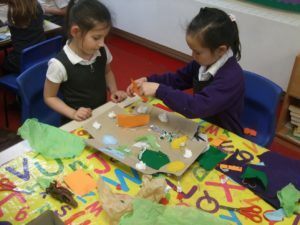 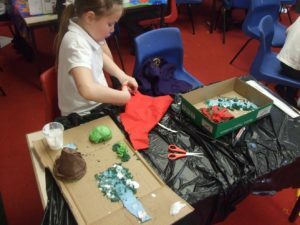 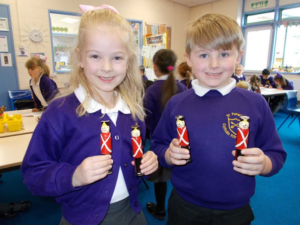 Their work has been displayed in the library along with the models they made for home learning. 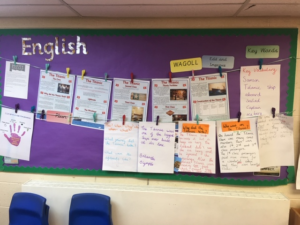 English working wall to show the learning journey. 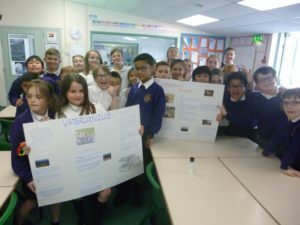 Welcome to our Curriculum blog!